An Introduction to Microsoft Azure - Loginworks Software Inc. This Blog has been created for software developers who want to develop best-in-class web applications using this open and advanced platform of Microsoft Azure. Nowadays, Azure has become a frequently used platform. Azure was named as Window Azure at the initial stage, which was later renamed as Microsoft Azure in 2014. Designed by Microsoft, Azure is a cloud computing platform, which is designed to build, manage and deploy applications and services through the means of a global network of data centers. 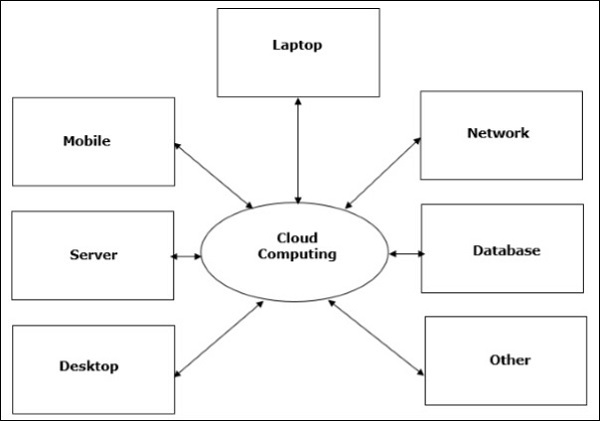 The popular trend in today’s in technology is ‘Cloud Computing’. Cloud computing can store and access the data over the internet rather than your computer’s physical memory (hard drive). This is the main advantage of cloud computing that you don’t need to access the data from either your computer’s hard drive or over a dedicated computer network (any kind of home or organizational network). Cloud computing is the hub of data that is stored at a remote location and you will be able to synchronize the data with other web information. One live example of cloud computing is Office 365 which allows users to store, access, edit their MS Office documents online (in the browser) without installing the actual program on their device. Front-end Devices − These devices are basically used by the client to access the data or program using the browser or application. Back-end Platform − The back-end platform known as the combination of various computer, servers, virtual machines etc. Public cloud is service which provides to cloud to general public known as the public cloud. These clouds can be accessed by any user. Thus users can open public cloud and can use the infrastructure using service provider there will be no restriction for any user to use this environment so any user can be able to store and access the data over there. The private cloud is dedicated to an individual organization. Private cloud is restricted to use by an individual or an organization. It can be used to store and access the company’s data and can also be hosted for their business applications etc. The data and applications can never be shared and accessed by any other organization. It provides the hybrid cloud where two or more clouds can offer the advantage of both public and private cloud known as the hybrid cloud. Whenever we require some sensitive kind of use, then we can use the private one and; wherever we require sharing kind of use, then we can go for the use of public cloud. Cloud service provides scalability to the user. Allocation and de-allocation of resources are dynamically managed as per demand example as no of users hits to your site than it automatically balances to your load. Cloud saves on cost for a user by reducing capital infrastructure as all kind of environment already exist on Azure. Cloud allows the user to access the application independently for their location and hardware configuration. Storing data on clouds is more reliable rather than others as it is not lost easily. Now let’s understand how cloud services are categorized. It is categorized into three sections. 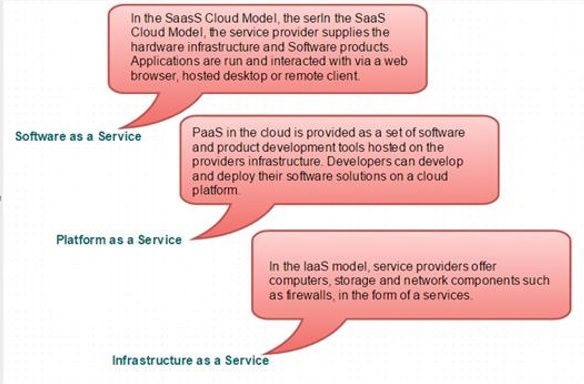 In SPI, SaaS is used as a service Software as a service; PaaS is Platform as a service and IaaS is Infrastructure as a Service. Following are the live examples which relate to these models. IAAS Model − Amazon S3Today’s There are many cloud computing platforms which offered by different organizations. Windows Azure is one of very rich full platform from them, which is provided by Microsoft. Azure can be known as the managed data centers that are used for different functions build, deploy, manage the applications and provide services through a global network. The Platform as a service (PasS) is a platform which provides to the client to develop and deploy software. The client no need to worry about hardware and infrastructure client need to develop their application only. It also provides a lot of features like it automatically manage the server, system and networking issues. As compared to overall cost, it is low as on-demand resources allocate and servers will automatically update as per requirement. Cloud is less vulnerable as it automatically updates and checks for all security issue. This process is not visible to developer and thus, it poses to the risk of data breach. New versions of development tools used to test by Azure team, which makes easy to the developer to move on new tools and to meet customer’s demand through these technologies. Pass having portability issues in it. Due to different environment exists in Azure so application might have to be adapted accordingly. IaaS provides the complete control of the operating system because of managed computed service and the developer get stack platform. With the help of Iaas, the user itself can manage, access and monitor the data centers. IaaS is an ideal for the application where entire control is required. The VM can adapt to the requirements of the organization or business. All facilities are available like application migration to windows azure without rework, the database can also be migrated to Azure. IaaS provides a quick transition of services to clouds, which helps the vendors to provide services to their clients easily. Versioning issue is there because of that user might face some migration difficulty reason behind this users are given complete control they are tempted to stick to a particular version for the dependencies of applications. Cost:- cost rising is the factor. Ex, maintenance for upgrading software and patching. Security risk:- due to unpatched servers. Some organizations having processes for testing and updating on-premise servers due to which processes need to be extended to cloud-hosting Infrastructure as service VMs to mitigate hacking risks. The unpatched servers rise security risk. Unlike PaaS, there is no way of automatic server patching in Infrastructure as service. An unpatched server with confidential information can be very vulnerable affecting the entire business of an organization. I hope after reading this blog, you will get more aware of the basics of Azure. However, for more such updates, stay connected!